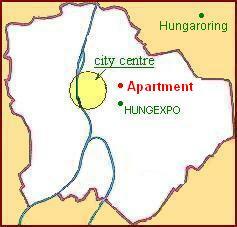 The apartment is located next to the centre, in a quiet, green belt area of Budapest, with free parking. The downtown is 10 minutes by bus and after the sightseeing, you can relax in our quiet inside garden or on the balcony, to enjoy the fresh air and the sunshine. Pleasant, safety, quiet area, houses with garden.